"INCREDIBLE Walk on Waterfront". It really doesn't get any better than this stunning, private, waterfront paradise. Situated on 1.14 Acres of beautifully treed and landscaped southern exposed property. 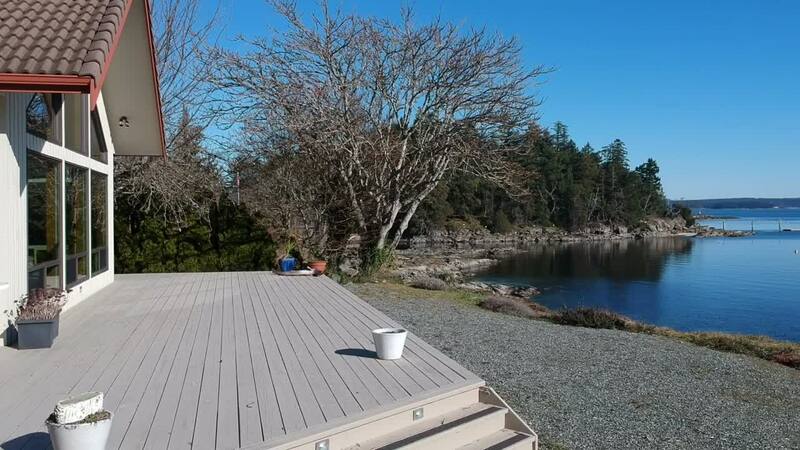 The views are spectacular with open vistas of local Gulf islands, Salish sea, and mainland mountain tops. The level sand and gravel walk on beach is ideal for swimming, water sports, and even boasts its own mooring buoy just off shore to keep your boat. The extremely well built home features 4 bedrooms, 3 baths, and a flowing floor plan that opens to a spacious bonus sun room with deck. Huge vaulted ceilings throughout take full advantage of the incredible views. Boasting very tasteful design and decor this is truly one of the premier waterfronts on the market today.